›Flaxen Indian Wedding Indo-Western Sherwani for Men. This product is custom made to order. 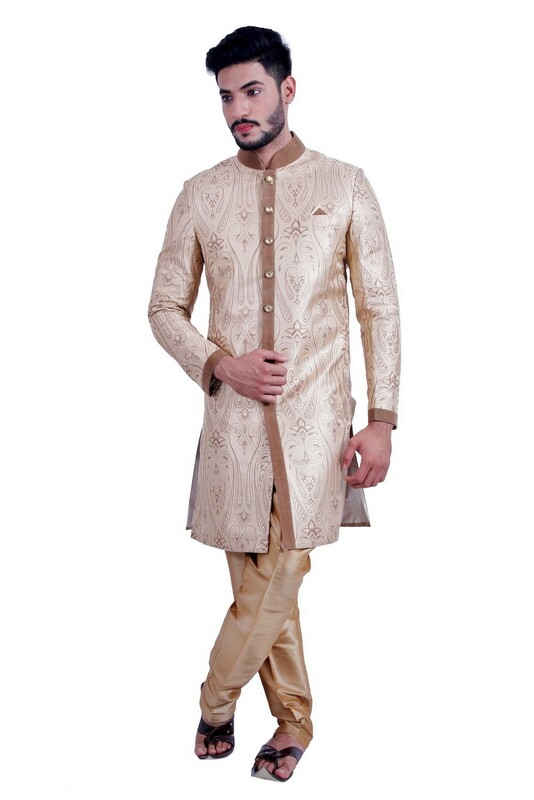 Flaxen Indian Wedding Indo-Western Sherwani for Men. This product is custom made to order.